Yesss, things are lighting up in the Adamant Studio! Here are some progress shots of Ramiel and Ouriel shaped and fitted for lights. I currently have to engage the light with a pencil as crafting the button comes at a later stage. But you can certainly get a feel for what they will look like when finished. At present in the Adamant Studio, there are two brand new designs in the works. A short sword by the name of Ouriel and a matching dagger called Remiel. Both are to be fitted with LED lighting and equipped with leather hilts. Today I got the cutting all finished and the slots for the LEDs milled out. The tiny and flat size of the LED devices I was able to get means that I was able to cut down on the handles’ width by a whole centimetre. 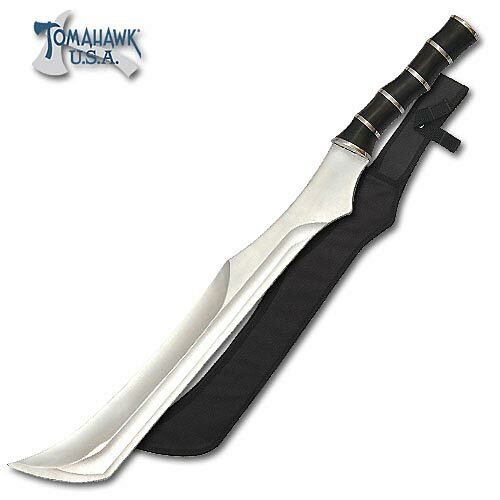 This gives the blades a much more sleek look. They still look rather rough and chunky but that won’t be the case for long. Nibbles the bandsaw is powerful but doesn’t have the ability to make curves. Chewie the belt sander however, is much more adept at shaping and it will soon be its time to shine. Fits perfectly! The next step is drilling a hole so the Shadowhunter wielding it can activate the light. Then it will be time for Chewie and me to make it snow! Yaaaay acrylic dust! That’s all from me for now. Have a great weekend and safe hunting! And asked if I could do something similar as a Seraph Blade. Why yes! Yes I can.